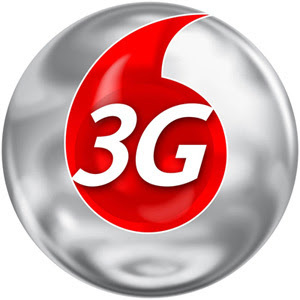 3G is one of the vital communication services that can push up the broad band growth enormously. After a delay of more than year for so many reasons, 3G auction was kicked off on April 9th in India. This 3G creates a history in telecom service of India. It has more impact on citizens both economically and socially than any other policy. India’s telecom minister Raja set up this Rs 50,000 crore project after a high drama that was laced with political influence. Few of the gifts offered by 3G to Indians are high speed connectivity, high resolution videos, rich high clarity voice etc. It is being used by 132 countries across the world for communications, consumer electronics and computing. It has been estimated that within four years this next generation mobile connectivity will reach 800 million Indians, which can make it the largest connected group of humans with hi-end technology. 24x 7 connectivity offered by 3 G can change the lifestyle of millions in India. Customers of unserved territories and rural areas will be getting highly benefitted with this 3G wireless broad band technology. According to a recent study by International telecommunications Union (ITU), every 1 per cent increase in the country’s broadband internet penetration increases GDP by about 10 per cent. Healthcare and m-commerce industry will benefit the most from these 3G technologies. People in remote areas, where there is a lack of health care professionals will benefit from this 3G technologies. Life span of people in these areas will be extended with remote diagnostics and monitoring services. 3G wireless health technology reduces the cost of travelling and other expenses to reach remote areas; this could spell a turnaround for India’s beleaguered healthcare system. 3G networks can transfer data at a speed of 3 mbps (15 seconds to download a 3-minute MP3 song) while 2 G with a speed of 144kbps takes (8 minutes to download a 3-minute song). 4G technology which is under analysis can offer a speed of up to 10mbps. 3G surely creates a wire free world to connect the all around world and pushes the broadband growth to a great extent.